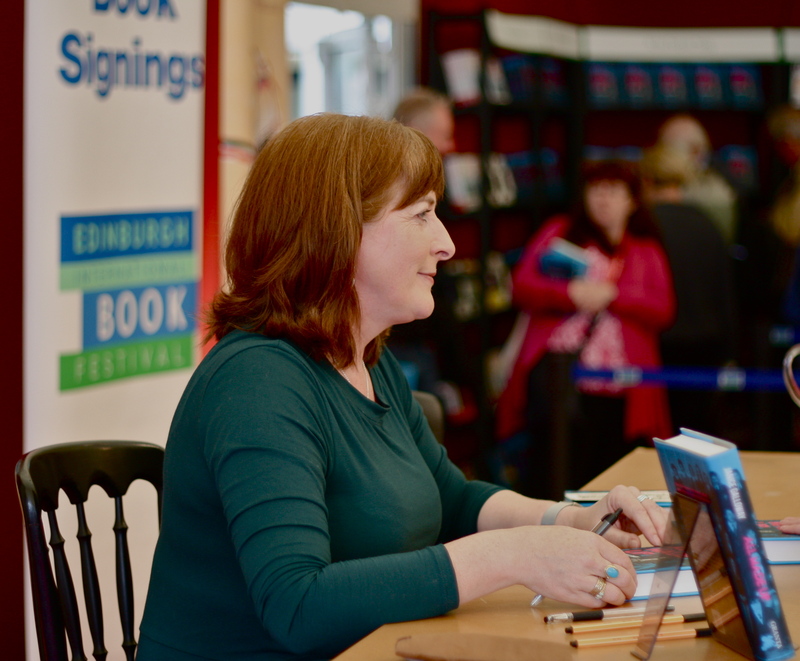 This morning I trumped along to Charlotte Square once more to see Janice Galloway talk about her new book. Following on from her anti-memoir about her childhood, This Is Not About Me, volume 2 is about her teenage years in Ayrshire and is called All Made Up. I sense a theme. The event was held in the RBS Main Theatre, and it was rammed. The girl sitting next to me, who was writing about it for Three Weeks, had seen Galloway before and didn’t find this remotely surprising. I sense I have been missing out – I came because the programme blurb looked interesting. “And Latin,” Galloway chimes in. This sets the tone, and leads the author into an explanation as to why she doesn’t see the book as a straight memoir. The first reading is about the role of television in Galloway’s house – she describes it as a family friend, making them laugh and educating them and keeping the peace between her and her sister. The second was going to be about education, but instead she opts for boyfriends. The Q&A session throws up questions that have been asked in reviews of the book, mainly about how made up it all is. One audience member wants to know whether she changes the names of her characters to protect the innocent. Galloway writes this way because she thinks it’s more interesting to create a story that people can relate to than it is to make things up entirely. She doesn’t just repeat the every day verbatim, of course. She goes on to argue that the distinction between reality and fiction is somewhat unhelpful, or even untrue. When you are doing this, she argues, it’s impossible not to put a little of yourself in there. You might think you’ve made up a character completely and then realize you’ve given them a job you once had or something like that. As for her characters, she says it doesn’t really matter how much of them is true and how much is made up.